Zimbabwe’s land reform continues to be controversial, but in the post-Mugabe era there is at least the prospect of sensible policies to get agriculture and rural economies moving. In the coming months there will be hordes of consultants and advisers arriving in Harare with lots of plans, projects and funds of different sorts. Unless their local counterparts in government, academia and civil society resist the temptation of jumping on whatever bandwagon is on offer, Zimbabwe’s recovery will be hampered and confused. In relation to land and agriculture, there has been a huge amount of research done in the 18 years since the land reform. This blog has attempted to share some of it. 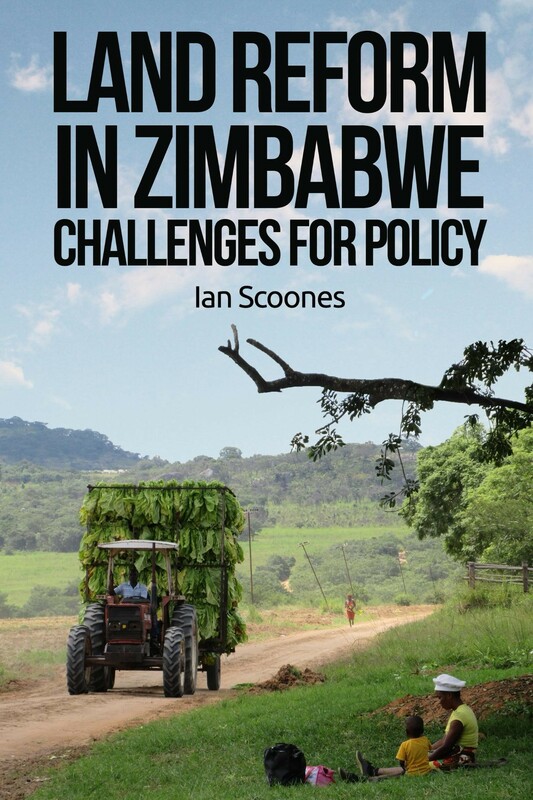 Now there’s a new low-cost book – Land Reform in Zimbabwe: Challenges for Policy – that contains a selection of blogs, collected together in different sections, with newly written introductions to each. The book includes one section summarising data on post-land reform production and livelihoods, another on medium-scale farms and their prospects, another on youth challenges, ones on markets, local economies and the importance of small towns, and still other sections on land administration and wider policy. There are 44 chapters in total over 238 pages, and you can buy the book on Amazon for only £5.50 (or 99p for a Kindle version). 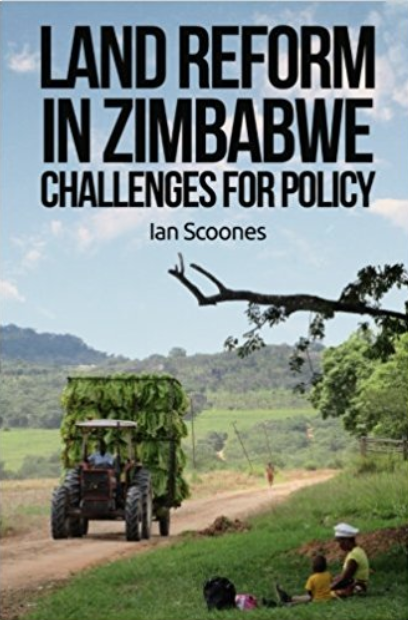 It’s a follow-up to Debating Zimbabwe’s Land Reform, available for the same bargain price! For those jetting into Harare ‘on mission’ perhaps have a look at both books on the plane. It could save you a lot of time! There is so much misunderstanding about Zimbabwe’s recent history and current land and agriculture situation that access to some research based evidence is important. Such misunderstandings are not only among the jet-setting consultants, but among too many donors, NGOs, journalists and others in Zimbabwe, as well as wider publics in the region and more broadly. These short articles have had massive readership and generated much interest. Some objected to the very idea of compensation, perhaps forgetting that compensation for improvements (not land) was an important part of the cross-party Constitutional settlement. That colonialism removed land from Africans in the past is of course not excused by paying compensation for investments made by white farmers now (again, not the land), but the Constitutional requirement for compensation for improvements is seen by most in Zimbabwe as a necessary step for moving forward. Many found the piece on land administration a helpful overview. Nothing new in this, but the need to get this right, and not make the system complex and expensive is essential (consultants and donors, please take note!). The final piece on ten priorities for agriculture got broad approval – again the need to see these as part of an integrated strategy was emphasised, linking efforts to regularise tenure with investment, finance and technical support. The theme of thinking about all this at a local level as part of regional or local economic development generated further positive comment. The debate on land and agriculture in Zimbabwe continues, and the Zimbabweland blog – if a little more intermittently than in the past – will carry on. So do sign up now to receive email alerts (to the right of this post) or follow me on Twitter @ianscoones to get the link. I have a pile of excellent articles and books to review in coming blogs, highlighting the fantastic, high quality research that is being done in Zimbabwe now. Maybe the external consultants are not so needed given this huge capacity? Perhaps in this phase Zimbabwe can do development differently? Let’s hope so. Hopefully the research covered in this blog and these books will contribute in a small way. The first book was widely distributed in Zimbabwe: in our study areas, across government departments and university libraries. We will be doing the same with the new one, so look out for it in the coming weeks, or buy it if you can! This report raises important issues and has a sensible set of recommendations. In our study areas labour rights issues, including child labour, are significant. School absenteeism during peak labour demand periods is common. Early marriage is another issue. As the small scale tobacco sector establishes itself as central to Zimbabwe’s economy all stakeholders across the industry will have to address labour, health and safety issues.